McGregor was ringside in Boston to watch compatriot Taylor successfully defend her world titles. He then visits Taylor in her dressing room where he praises the WBA and IBF champion. It is an honour to see you live. Big respect Katie, honestly. You were enjoying it; hand behind your back. But they should have given you a microphone [after you won]. You are a special talent. The UFC Champion meets the Olympic boxing champion. McGregor releases a photo with Berlusconi, and praises the family as the ‘Italian empire’. had dinner with the Italian empire last night. Eating with the Italians is always an interesting experience. From the Fertitta’s to the Berlusconi’s, the Italians dine better than them all. We discussed the bread and the butter, over some bread and some butter. Thank you to the Berlusconi team for their hospitality and I look forward to our work going forward. Il tempo e denaro! Time is money! I had dinner with the Italian empire last night. Eating with the Italians is always an interesting experience. From the Fertitta's to the Berlusconi's, the Italians dine better than them all. We discussed the bread and the butter, over some bread and some butter. Thank you to the Berlusconi team for their hospitality and I look forward to our work going forward. Il tempo e denaro! Time is money! 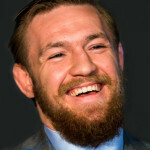 I think it’s important that the public knows that the chairman, upon speaking with Conor, realized a wrong was done and he’d like to make it right. We don’t always get it right. We’ve made mistakes in the past. The chairman lives by example. McGregor posts a selfie with the Weeknd. McGregor meets with David August, his suitmaker. McGregor posts a photo with Drake. Perry tweets a photo of McGregor armwrestling Skeeter. McGregor posts a picture of himself with Bono. 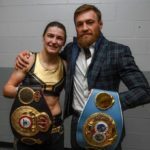 McGregor posts a photo with Lopez, wishing her a happy birthday. Happy birthday Miss Jennifer Lopez! Timberlake posts a picture with McGregor. McGregor and Rihanna meet at her Dublin show. Obviously I’m not going to disclose details of the deal, but let’s just say my trip to Stockton didn’t go well. McGregor and White meet at the Montage hotel in Beverly Hills. McGregor arrives in a Rolls-Royce Phantom drophead coupe and is personally greeted by White. The two men hug, and then have a two-hour private dinner. After the Brimage fight, McGregor meets White for the first time on camera. They talk about the Brimage fight and invites him to fight in Dublin and Boston. White: Welcome to the UFC. There’s been a lot of hype. I guess the hype is real. Marcus Brimage was a tough dude. McGregor: Yeah man, he’s tough. I hit him in a few shots. While: You hurt him a lot before you finished him. White: People are going crazy on Twitter. And I’m sorry they were f-cking with your flag. What the f-ck are they doing fighting with the kid’s flag?